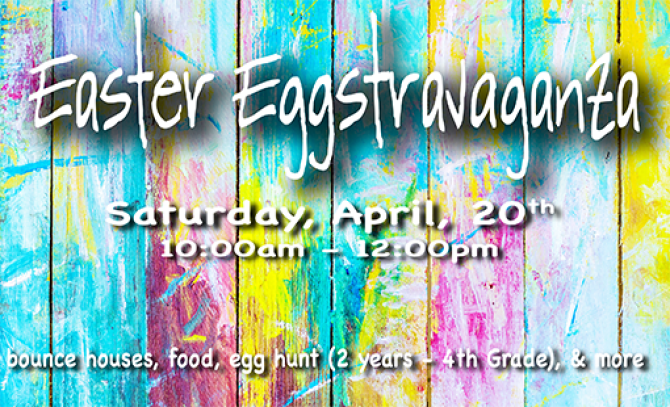 Come for a time of bounce houses, food, egg hunt, and so much more. Preregister for the event here. The event will be held on the campus of Pleasantview Baptist Church.